HTTP is considered a first-class citizen by Node, which has been designed throughout with low-latency and streaming as key considerations. 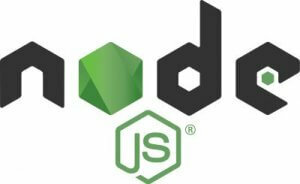 This makes Node an ideal foundation for a framework, library, or web application. * not all these options are available on all packages – speak to our support team for more information on the specific options available. catalyst2 is a UK company. Our sales, support, servers… everything is based right here in the UK. We’ve been in business since 2000, and over nearly two-decades, we’ve grown every single year. Since 2007, we’ve achieved 99.997% uptime which, we think you’ll agree, is no small achievement. We like to do things differently here at catalyst2. We have a clear aim to provide the best possible service to you – our customers – while still offering outstanding value for money. • A no-quibble, 30-day, money back guarantee. If you’re in any way unhappy with your package within 30 days of signing up, just drop us an email and we’ll refund you every penny you paid. • 30-minute response time for shared hosting customers. During working hours, we guarantee to respond to your email or support ticket in half an hour or less. Because we know that your time is important. • For dedicated hosting customers, we’ll answer your call to our dedicated freephone number within 30 seconds, and we promise to have a response to your query in 5 minutes or less. Our support professionals are available 24/7, so no matter what time of the day, or night, you need us, we’re here. • UK-based support, from UK-based professionals, with no-nonsense, sales, or technical jargon. We’re a friendly bunch, and we’re here to help you, not to sell you add-ons you don’t need or baffle you with jargon. • Responsive, up to date, proactively monitored servers. We go to great lengths to keep all of our infrastructure secure, apply the latest patches, and monitor each and every one of our servers to make sure we always provide the best service. If you buy one of our managed hosting products, we will even allocate you a named support professional to work with you on setting up, running, and managing your account. And, if you run into any problems at all, from server configurations and installing apps, to scouring code looking for that pesky issue, we’re here to help. In short, our aim is to provide a worry-free service that meets your needs, giving you the peace of mind you need to get on with what you do best: running your project. What is plus addressing within cPanel? What does Brexit mean for .EU domain owners in the UK? We really rate catalyst2. We get a great response from the team… really happy with the service.